Well now, I was thinking of what should I write on this time. 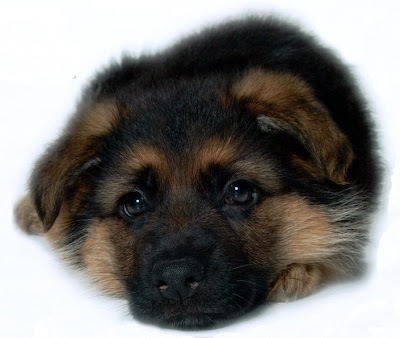 How if I write something about the history of the German Shepherd Dogs? This is a very long story indeed. So I've planed to present it in a series of a few distinctive volumes. Just read on. And I'm sure if you are a real GSD fancier, this will be a topic of your real interest. Germany is the birth place of the breed. The very name gives a very clear cut indication of the fact. The look and the glamour of the German Shepherds Dogs that we find today took almost a century to develop. It was not until the late 19th century that emergence of the breed was noticed. And it’s beyond all doubt that it was due to the far sighted vision of the Prusian cavalry captain Rittmeister Max Emil Frederich von Stephanitz (commonly known by Captain Stephanitz or Captain Max von Stephanitz) that we dogs lovers got such a great gift. Shepherd dogs were truly wonderful natural working dogs that were used by the shepherds of 18th and 19th century to herd their sheep. Not being descended from a specific origin, those shepherd dogs could not be given the honor of a specific breed with a specific standard. Although they were really varied in appearance and gait but most of them had the true basic instinct to work. Captain’s attention was attracted by two such types of dogs – one that used to work in the highland of Thuringia and the other is from Wurttemburg. Shepherds Of Thuringia: Shepherd dogs from Thuringia had erect ears, curled tail and were wolf-grey in color. They were stocky and of small stature. There were two main varieties of the Thuringian Sheep Dog: i) short-haired and ii) shaggy-haired. Shepherds Of Wurttemburg: The Wurttemburg dogs were larger in size with heavy bones and bushy tail. They were comparatively swifter than the shepherds of Thuringia and had good gait but bad ear carriage. They were stocky and of small stature. Alike the Thuringian Sheep Dogs they were of two varieties too: i) short-haired and ii) shaggy-haired. These two types of dogs were the base of the dfevelopment of the breed. Stay tuned ... coming up more to learn.